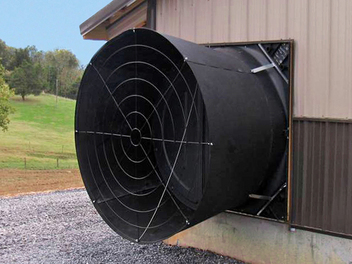 Chore-Time's ENDURA® Tunnel Fan is designed for high performance and corrosion resistance. The fan features a composite shroud and shutter doors with 35% fiberglass for strength; galvanized, powder-coated fan drive and support structures; and an optional stainless steel fan blade and shaft. 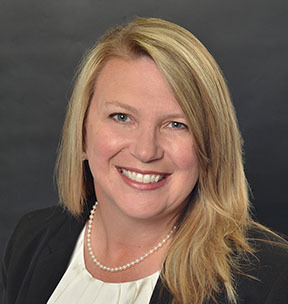 MILFORD, Indiana, U.S.A. — Mindy Brooks has joined Chore-Time as the Global Marketing Director, according to Jeff Miller, Vice President and General Manager for the CTB, Inc. division. In her new role, Brooks will be responsible to enhance the Chore-Time global brand position by partnering with Chore-Time’s distribution network and its sales, engineering and customer service teams to tailor market-specific offerings. This effort will include setting strategic business goals and determining the best products and resources to deploy in each region. Brooks has more than 17 years of experience in brand management, sales and marketing. Prior to joining CTB, she served as a senior manager of marketing and after sales in the original equipment market (OEM) for the automotive industry. She has also held the position of global marketing communications manager in the biomedical industry and worked as an advertising and brand manager in the kitchen furnishings and recreational vehicle industries. A graduate of Purdue University in West Lafayette, Indiana, Brooks obtained her bachelor’s degree in computer graphics. She has also earned a master’s degree in business administration from Indiana University South Bend, South Bend, Indiana, and an executive leadership degree from the University of Notre Dame, South Bend, Indiana. A native of Petersburg, Indiana, Brooks resides in Milford, Indiana.